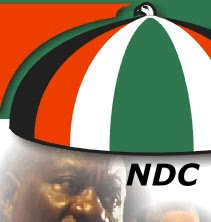 The National Democratic Congress (NDC) on Sunday formally declared that it would take part in the Jubilee Anniversary Ceremony, putting to rest speculations that the Party would be boycotting the n ational celebrations. Flanked by some Party Executives at a press conference organised at its Headquarters in Accra, Dr Kwabena Adjei, Chairman of the NDC, declared: "On behalf of the NDC, let me formally inform the nation of Ghana and the whole world that a delegation led by NDC Flagbearer, Prof. John Evans Atta Mills will be at the Ghana @50 Parade at the Independence Square on March 6th 2006. "However, he said, the delegation needed the assurance of the National Security that all its members attending the anniversary parade would be safe. The NDC further said the delegation needed the assurance of the State Protocol that a secured sitting arrangement would be made for the number of NDC officials that have been formally invited to the parade. 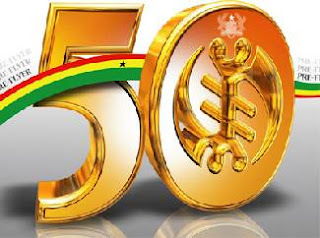 "The NDC delegation needs the assurance of the national security apparatus that NDC sympathisers and supporters, who would attend the parade will be treated with civility as Ghanaian citizens", Dr Adjei stated.He said that the Party had been reliably informed about "plans to deliver hell and brimstone" on NDC supporters at the Ghana @50 anniversary, and warned that the 93occasion is no place and time for political embarrassment, harassment, intimidation and bigotry". The NDC Party Chairman said the overriding reasons for the Party deciding to lend its presence to the anniversary parade are 93the love and respect we have for our dear Motherland and Party and to show that the NDC is politically matured. "The agenda of Ghana would always be bigger that the agenda of any political party and that is the pledge the NDC wishes to re-emphasize in unambiguous terms as Ghana attains 50 years post-colonial freedom", he said.Dr Adjei, amidst cheers from Party supporters, stated that it was important that the present Government understood that March 6 of every year was a "Ghana Day" and not a day for the incumbent government of Ghana. "As a Ghanaian political Party, the NDC would, therefore, not allow any group of people to hijack March 6 and push it to a point where we would be forced to show disrespect and irreverence to our past heroes, our invited guests, our national symbols and the Golden Jubilee itself", he said.The Party thus appealed to all its members, supporters and sympathisers to understand and support its decision to send a delegation to the March 6 Parade, even though they had made passionate appeals to the Party to boycott the anniversary celebration.